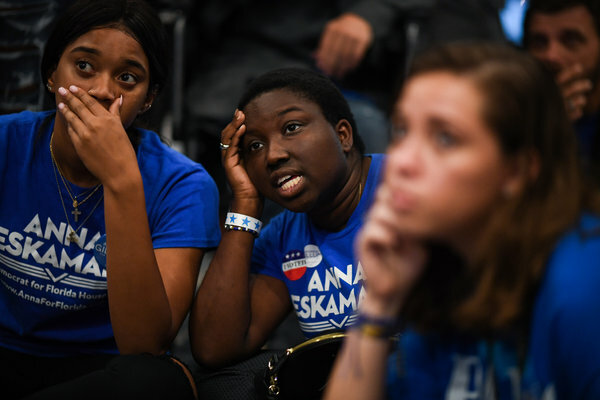 TALLAHASSEE, Fla. — Legal wrangling began in earnest in Florida on Thursday as top political campaigns girded for the possibility of lengthy and expensive vote recounts, especially in a Senate race that remains too close to call. Gov. 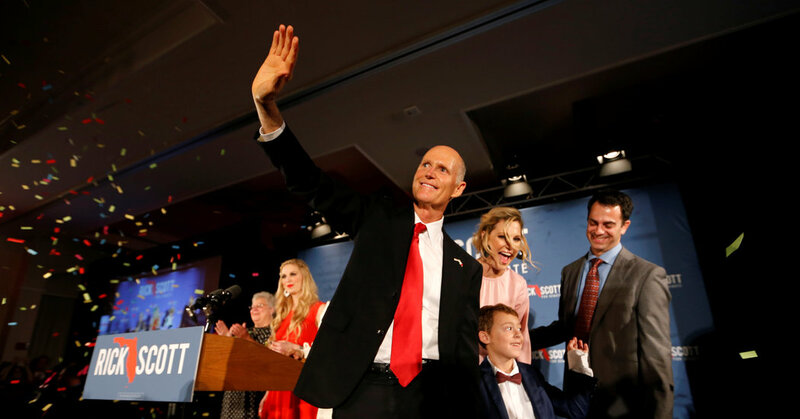 Rick Scott, a Republican, claimed victory on Tuesday against Senator Bill Nelson, the Democratic incumbent, in that Senate contest. But the vote gap between them has only narrowed since then, as the state’s largest counties have continued to tally ballots that were mailed in or cast on a provisional basis on Election Day. The gap has also closed in the governor’s race, which is now stunningly close to being in recount territory as well. Andrew Gillum, a Democrat, conceded to Ron DeSantis, a Republican, late on Tuesday night, shortly before The Associated Press called the race for Mr. DeSantis. But Mr. DeSantis’s victory margin has since dropped to 0.52 percentage points — a mere two-hundredths of a point shy of the recount threshold. Florida’s 67 counties have until noon on Saturday to submit their unofficial vote totals to the state’s division of elections. Four more contests — for state agriculture commissioner, a State Senate seat and two State House seats — are also likely headed for recounts. The most high-profile recount possibility so far, however, is in the Senate race. As of Thursday morning, 21,888 votes separated Mr. Scott and Mr. Nelson, a difference of 0.26 percentage points. Under Florida law, a 0.5-point vote margin prompts a machine recount. A 0.25-point vote margin prompts a more thorough manual recount. Mr. Nelson’s elections lawyer, Marc Elias, a veteran of prominent recounts around the country, told reporters on Thursday morning that he expects the gap to narrow and reach the manual-recount threshold. Mr. Elias went even further, predicting that outstanding ballots in heavily Democratic Palm Beach and Broward Counties would ultimately put Mr. Nelson over the top, though he acknowledged that the campaign does not know how many ballots are left to count. “At the end of this process, we believe Senator Nelson is going to be declared the winner,” Mr. Elias said. Once counties report their unofficial totals to the state on Saturday, Secretary of State Ken Detzner, an appointee of Mr. Scott, will be able to order any of the legally mandated recounts. A statewide machine recount would have to be completed by 3 p.m. on Nov. 15, Mr. Elias said. If that process shows a margin of less than 0.25 percentage points in any federal or state races, then Mr. Detzner would order a manual recount of what are known as undervotes and overvotes that would have to be completed by Nov. 18. In the Senate race, undervotes are ballots in which optical-scanning machines counted a vote for a down-ballot race like governor or attorney general but not for senator. Overvotes are ballots in which scanners detected that voters marked more than one choice for Senate. Florida voters fill in paper ballots by hand using a pen and no longer cast the punch-card ballots that produced the infamous “hanging chads” in the 2000 presidential election. Candidates cannot request recounts, although those with fewer votes can refuse them. Mr. Gillum’s campaign said it was monitoring the tightening result in the governor’s race. ‘Florida’s Being Florida’: Senate Race May Be Heading to, What Else? A Recount.